Gorgeous estate home is situated in a fantastic location, convenient to Green Hills & the interstate. The lovely open floor plan is great for entertaining or just lounging by the fireplace. The bedrooms are large suites with walk-in closets. The luxurious master suite has a separate sitting room with french doors and custom built-ins. The kitchen boasts top of the line appliances, granite and an amazing breakfast room with octagon ceiling. The second floor offers a massive recreational room with beamed ceiling and a thermostat controlled wine room. You will find many custom built-ins throughout the home. There is a handy elevator shaft ready for your lift installation. The lovely screened porch wraps the back of the home and overlooks fantastic yard. The large patio has a built-in grill and 2 burner cooktop. 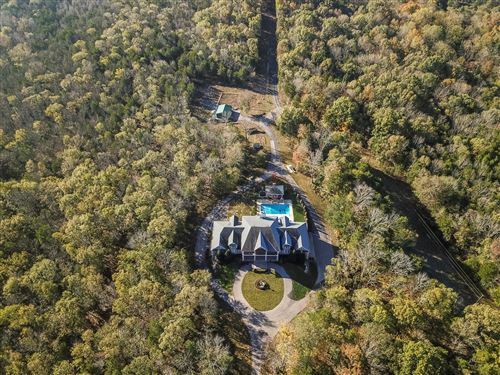 This estate home is located on 2 acres with mature trees for a very private setting. Come and view this beautiful home today.